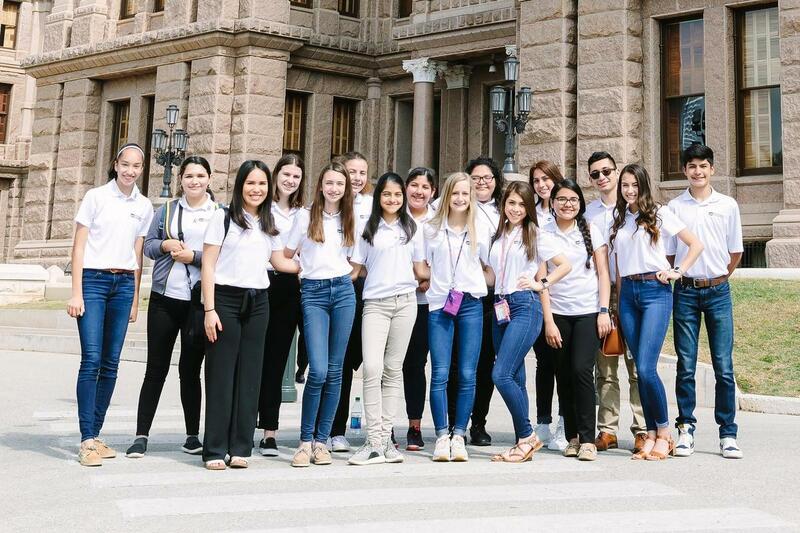 Harlingen CISD student advisory board members woke up bright and early Thursday morning for their trip to Austin, where they toured the Texas Capitol and were greeted by state representatives representing Harlingen. 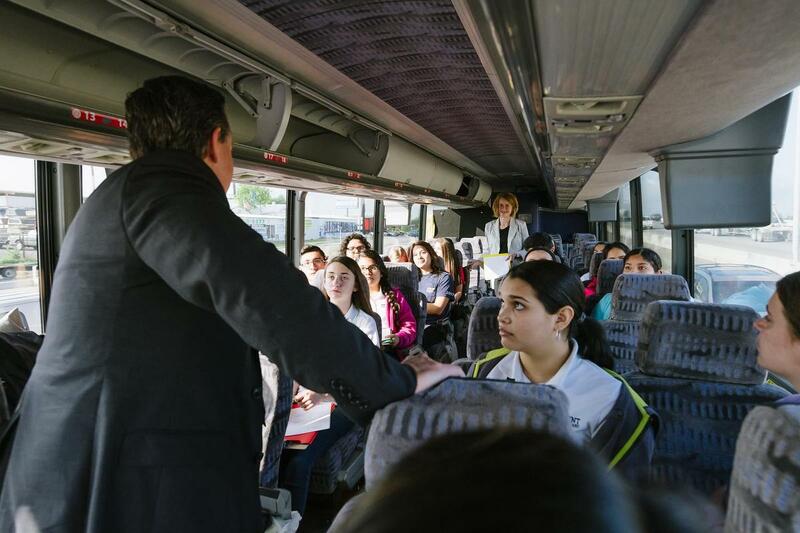 The student advisory board members, who meet each month to provide feedback to administration about every secondary campus within the district, boarded a charter bus before sunrise, eager to meet with elected officials as well as Texas Workforce Commissioner Julian Alvarez, a Harlingen High School graduate. Students glanced out the window as the sun rose, looking toward the state’s official flower, Bluebonnets and other wildflowers lining the Hill Country, such as pink evening primrose. Memorial Middle School 6th grade writing teacher Mrs. Brittany Johnson and Harlingen CISD Public Relations/Community Engagement Director Shane Strubhart then caught the students’ attention for their on-the-bus classroom activity. Mrs. Johnson explained the students would be debating state-related education issues before arriving on capitol grounds. Eagerly, the 16 students paired up for their lesson on how to debate and reinforce their views on particular issues, much like state representatives and senators alike practice while on the capitol gallery’s floor during a legislative session held once every two years. The bus then pulled up to the northern side of the capitol, and students stepped off the bus toward the entrance as they were captivated by the size of the capitol’s rotunda. 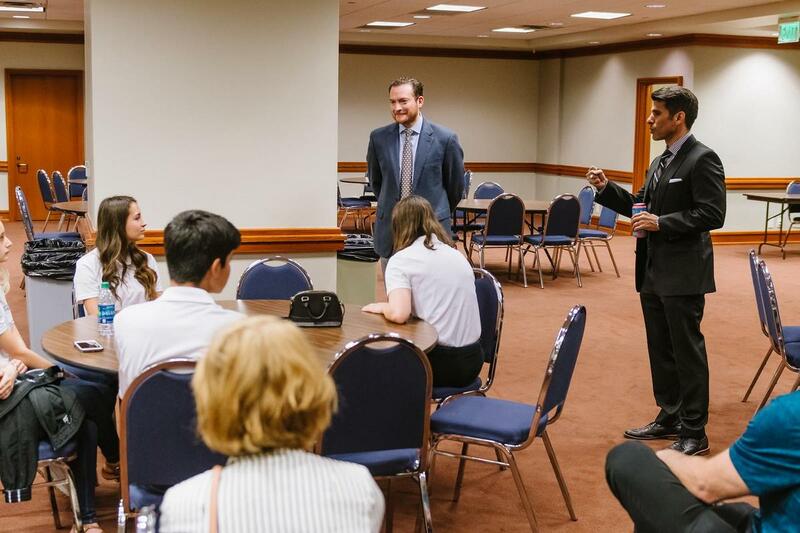 After making their way inside, the students were led to a meeting room, where they were greeted by State Representative Oscar Longoria, who was later joined by State Representative Eddie Lucio III, both of whom represent parts of Harlingen. 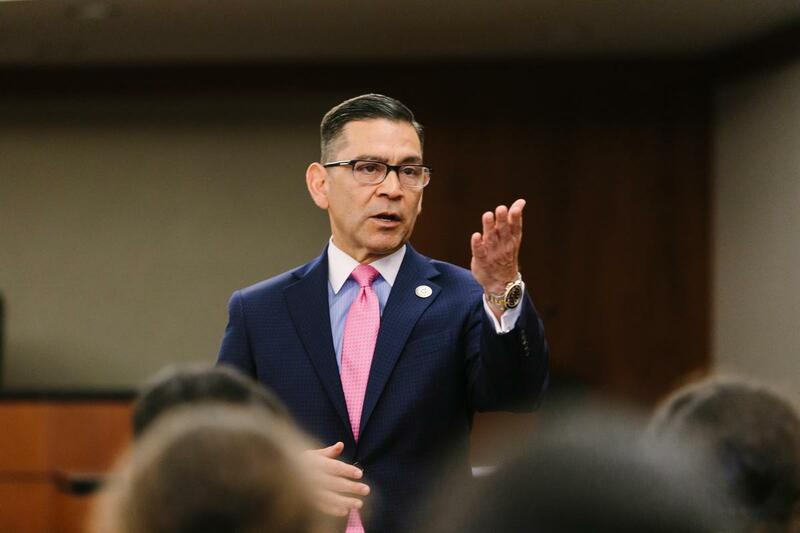 A native of western Hidalgo County, Longoria explained the legislative process and his role as Vice-Chair of the House Appropriations Committee. Meanwhile, Lucio detailed some of the exciting bills that he has drafted during his tenure and provide advice to the middle and high school students present. He encouraged them to continue their thirst for learning. Before departing after fielding questions from students, Longoria encouraged them to step inside the gallery floor as legislators debated bills. 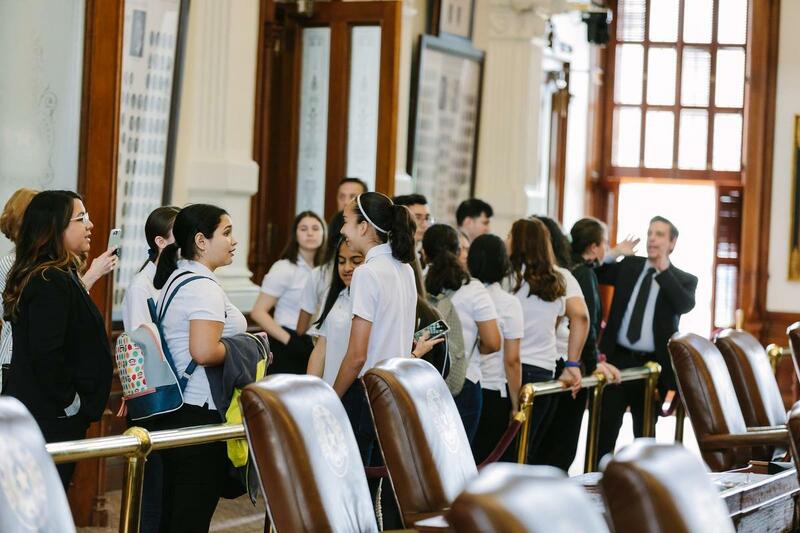 Students then took the elevator to the house and senate galleries, where they quietly watched senators, including Senator Eddie Lucio Jr., speak on the Texas Senate floor. 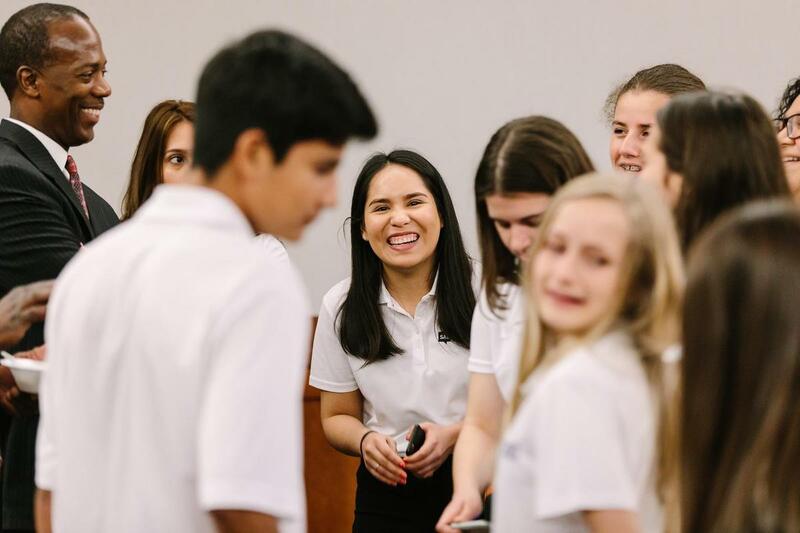 “I had known about the legislative session, but actually seeing it in action was really cool,” said Early College High School Senior Arlette Bravo. KEYS Academy student Kylie Davila agreed. For Davila, the chance to visit Austin and the capitol for the first time and hear from lawmakers was a trip she could not miss. The students stepped inside both chambers as well as inside the Texas Supreme Court and Court of Criminal Appeals courtrooms before heading to the Texas Workforce Commission building. There, Texas Workforce Commissioner Julian Alvarez greeted them as they were treated to an ice cream social. He encouraged the Harlingen student leaders to push toward their goals despite self-imposed challenges and setbacks around them. Alvarez was proud to see young students in Austin. The students then took a break at the capitol gift shop before heading back to Harlingen. The Student Advisory Board will meet in May for their final meeting of the school year.